Tiger's eye is chatoyant that is usually a metamorphic rock that is a golden to red-brown colour, with a silky lustre. Members of the quartz group. 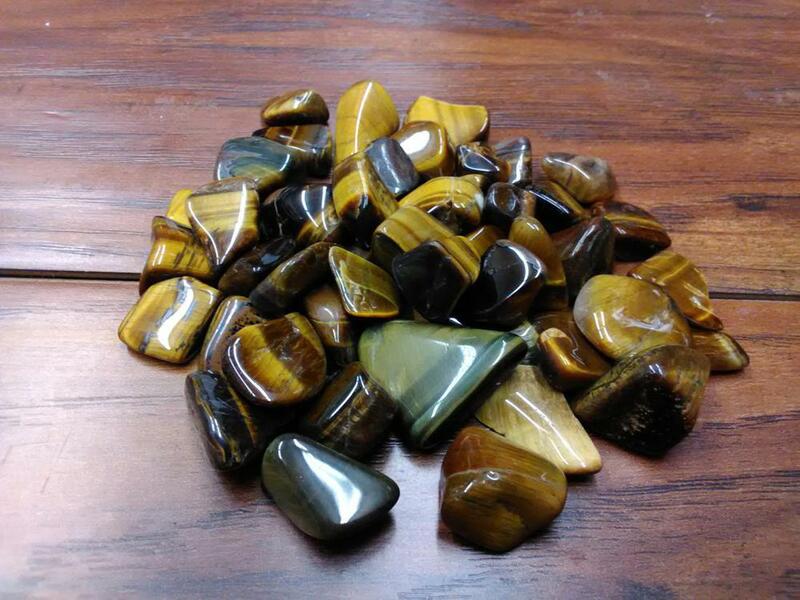 Tiger's eye comes from South Africa and East Asia. Golden Tiger Eye helps with decreasing anxiety, happiness, order, and focus. Also helps with purging toxins, decreasing pain, reproduction, and strengthening bones.